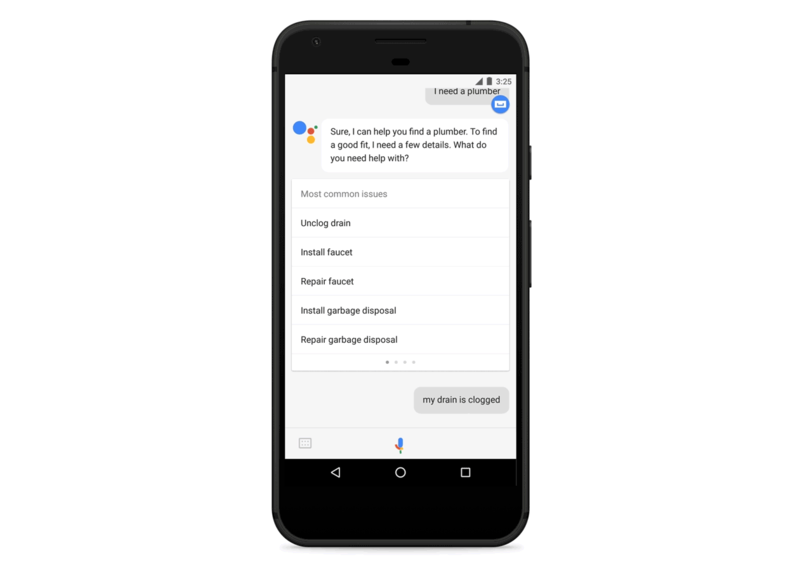 A request through Google Assistant for, say, a plumber will soon return a list of potential problems you may be having. In this case, you might have to unclog a drain, install a garbage disposal, etc. Select one of those, and after Google confirms your address, you can choose to either have an eligible plumber call you or to have a list generated of plumbers in the area. Soon enough, you'll (hopefully) have a plumber on his way. This can all be done without leaving Assistant, which is pretty cool. This feature will be rolling out "over the coming week." In many cities, Assistant will suggest services that have been prescreened by Google, as well as companies like HomeAdvisor and Porch, so you know that you're getting a qualified professional. If this works properly, it could make homeowners' lives a lot easier.